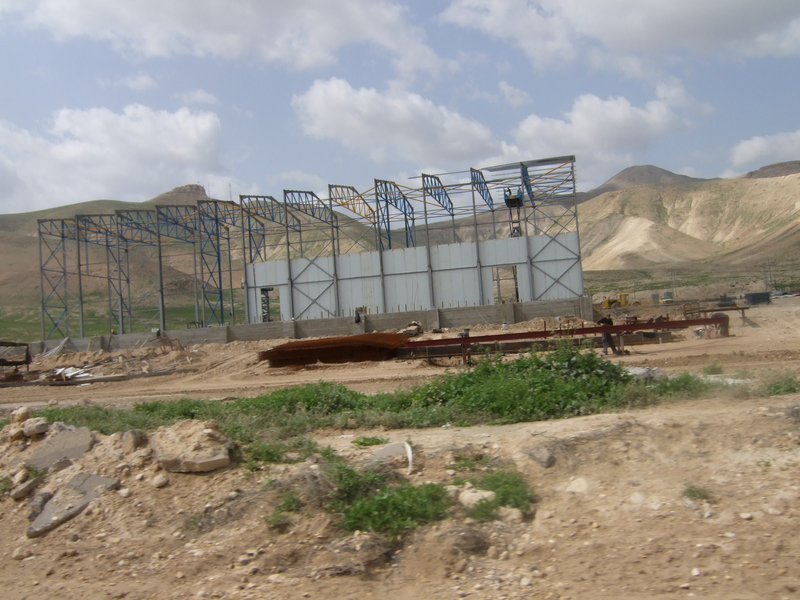 Above is a picture of the construction of a packing house on the land of the regional council of the Jordan Valley settlements. Local Palestinians say that this is to be a new packing house for Carmel Agrexco. Agrexco already run packing houses for fruit and vegetables, bound for export, on dozens of illegal settlements in the occupied Jordan Valley.